News, How-To's and interviews from the heart of the Hong Kong literary scene. For almost 25 years, the Hong Kong Writers Circle (HKWC) has been a stalwart of Hong Kong’s literary scene, creating an environment in which writers develop their skills and hone their craft, while increasing their knowledge of the publishing industry with the support of their peers. Our members come from all corners of the globe and range from published professionals to the aspiring amateur. Get inspired, get involved and get in touch with the Hong Kong Writers Circle at hkwriterscircle.com. Then get on with some writing! Produced by SCC Overton. In this episode Lawrence Gray introduces his books 'Adam's Franchise' and 'Cop Show Heaven', both published by our friends at Proverse Hong Kong. Lawrence also submits an essay entitled 'A Fool and His Writing'. 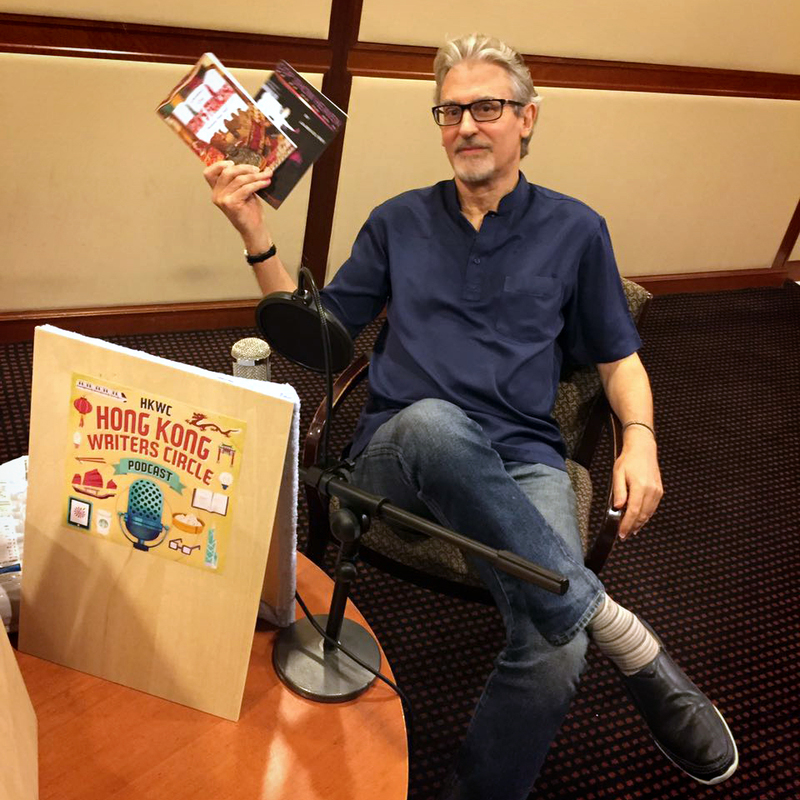 The Hong Kong Writers Circle podcast Episode 24: Adam's Franchise was produced by SCC Overton. Exerpts were from Adam's Franchise and Cop Show Heaven by Lawrence Gray published by Proverse Hong Kong. The podcast theme music was Jingle Jazz by Quantum Jazz from the album End of Line, used under the terms of a Creative Commons Attribution ShareAlike 3.0 licence. The interlude music was All My Light by Cory Gray from the album, Carcrashlander Instrumentals used under the terms of a Creative Commons Attribution-NonCommercial 3.0 International License. If you are an author, publisher or musician and would like to collaborate on an episode of this podcast or for any other feedback please click here to email, using the subject line "Podcast". Members of the HKWC are encouraged to get in touch with ideas, interview suggestions, audio essays and other ways to collaborate, including production assistance. Thanks as always to Katrina Teh for the podcast artwork.